The new free, 24/7 children’s service CPTV PBS Kids is now available! This live stream is now accessible at cptv.org/pbs-kids; on the PBS Kids Video Player on pbskids.org; and on the free PBS KIDS Video App for mobile and tablet devices. 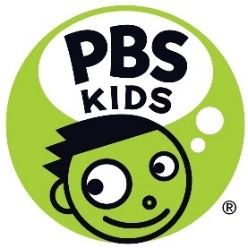 The live stream complements on-demand clips and full episodes, which will continue to be available for free on pbskids.org. CPTV PBS Kids aims to make it easy for Connecticut children to watch their favorite series during prime time and other after-school hours when viewing among families is high. CPTV PBS Kids will include popular favorites like DANIEL TIGER’S NEIGHBORHOOD, ODD SQUAD, WILD KRATTS and DINOSAUR TRAIN; PBS KIDS’ newest series SPLASH AND BUBBLES, NATURE CAT and READY JET GO! will also be featured. Following its initial launch, the live stream experience will expand to offer an integrated games feature, enabling children to toggle between a show and an activity that extends learning – all in one seamless digital experience. CPTV PBS KIDS is an integral part of CPTV’s long-term vision for its children’s service and will build on its reach and impact in the community, where it provides essential services for kids, parents, and teachers.